Where Do Fat Cells Go After the CoolSculpting Procedure? What Are Benefits Of CoolSculpting? How Does CoolSculpting Work to Get Rid of Belly Fat? CoolSculpting is an FDA-approved fat-freezing treatment. It’s a completely non-surgical fat-reduction treatment that uses controlled cooling to eliminate stubborn fat that resists all efforts of diet and exercise. 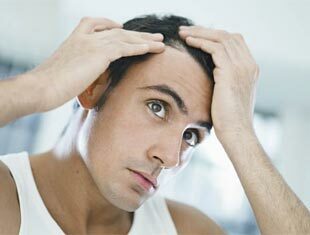 This means no incisions, no scars, and no downtime! The way CoolSculpting works is by targeting certain areas of the body and exposing them to very cold temperatures. The cooling process used in CoolSculpting causes the fat cells to crystalize and gradually die off. The dead fat cells are then naturally processed by the body and excreted over a period of six to 12 weeks, leading to a trimmer figure. The CoolSculpting fat-freezing procedure actually reduces the number of fat cells in treated areas by about 20% to 25%. These fat cells are naturally processed and eliminated, so they won’t migrate to another area of your body. And, unlike what happens with other procedures, there’s no change to fat cells in untreated areas. Scientists at Harvard observed that toddlers who were using popsicles in order to cope with teething pain were developing dimples in their cheeks as a result. 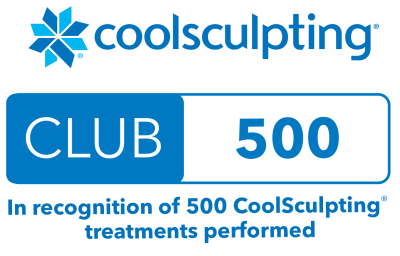 This discovery led to the development of the CoolSculpting treatment and the devices that are used in clinics today are based on this principle. CoolSculpting is a relatively new type of cosmetic treatment where fat cells are exposed to extreme cold, which causes them to become crystallized and eventually removed from the body in a completely natural way. The idea behind CoolSculpting was discovered by accident when two Harvard scientists found that children who ate popsicles to ease teething pain were developing dimples in their cheeks. The CoolSculpting fat reduction procedure is specifically designed for those who have unwanted fat that resists diet and exercise. With over one million CoolSculpting treatments performed worldwide, it is proven to be a safe and effective treatment for non-surgical fat reduction. You may start to see changes as quickly as 3 weeks after your treatment and will experience the most dramatic results after 2 months. Your body will continue to flush out fat cells for up to 4 to 6 months after treatment. Fat cells actually die and are permanently gone from your body with the CoolSculpting procedure. Listen to the real-life results from these satisfied CoolSculpting patients. Despite our best efforts to diet, exercise and follow healthy lifestyle habits, many of us still struggle with stubborn areas of body fat. You may have heard that CoolSculpting is a very effective spot fat loss treatment but aren’t entirely sure how it works. CoolSculpting has gained a lot of popularity in recent years as a viable alternative to liposuction for treating stubborn pockets of fat.